Hearing of a single hour in the presence of such an elusive great ape might make you feel like it isn’t enough. 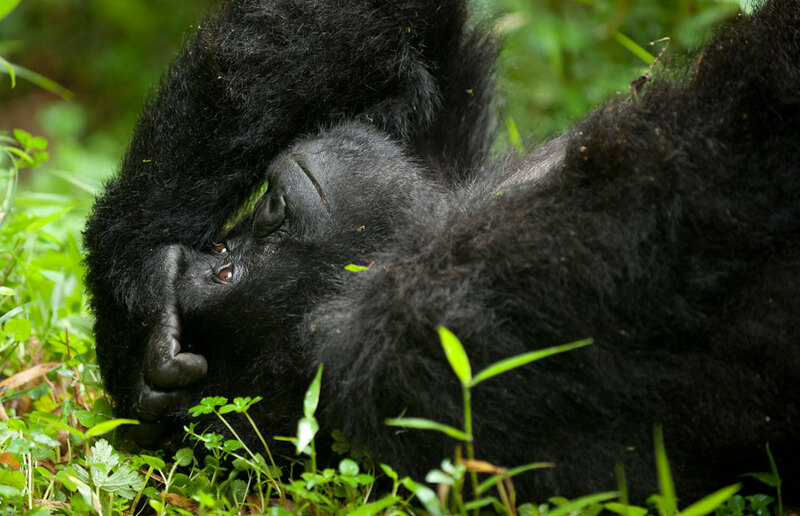 No worries anyway, if you need to spend at least 4 hours in the presence of mountain gorillas then Mountain Gorilla Habituation is the best option. 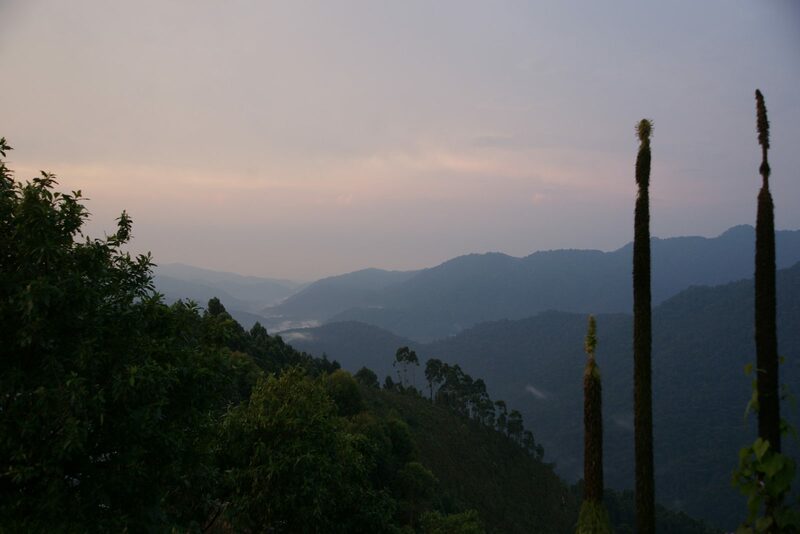 Bwindi Impenetrable National Park is home to almost half of the remaining mountain gorillas on planet earth and the popular Uganda gorilla safari destination. In Bwindi, gorilla habituation is only done in the southern sector known as Rushaga gorilla trekking sector. There have been two gorilla families for habituation however, one was opened to gorilla trekking late last year and therefore only one is available for habituation. 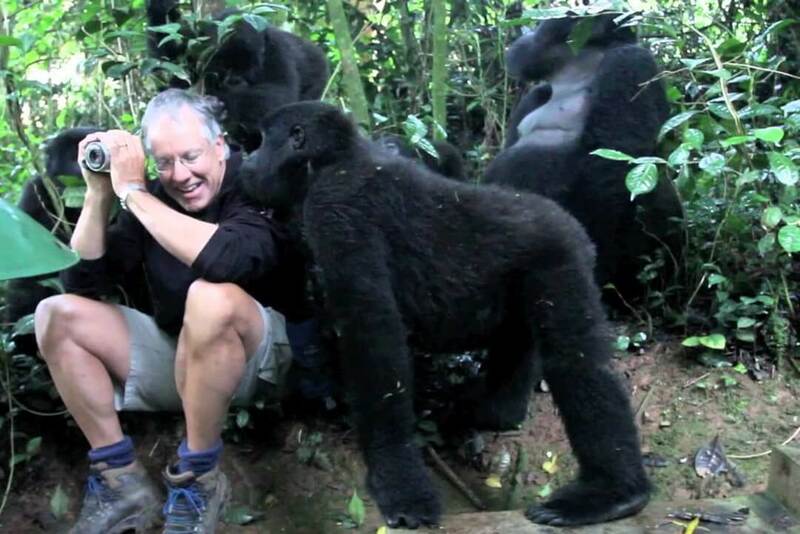 Rushaga gorilla trekking sector has the highest number of mountain gorillas in Bwindi forest with 6 habituated gorilla families open for gorilla trekking and one for mountain gorilla habituation. 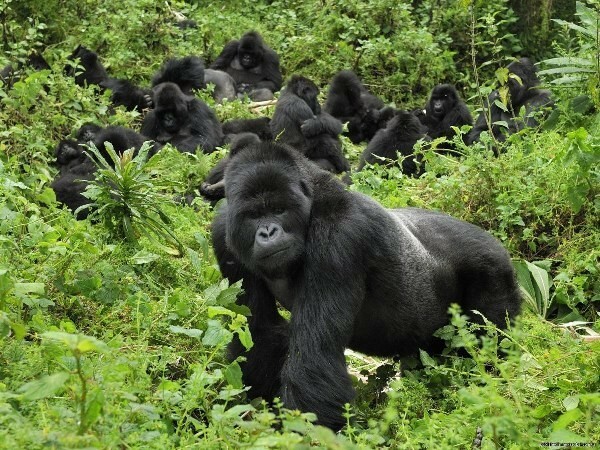 Rushaga gorilla families for trekking include Nshongi family, Mishaya family, Kahungye family, Busingye family, Bweza family, and Bikingi family. The many gorilla families are attributed by some as a result of constant wrangles in the families yet others attribute it to the many hills in the area that habituate different groups. This guarantees a chance to glimpse at a gorilla on your Uganda gorilla trekking safari. Mountain gorilla habituation is a taming or training process of getting wild mountain gorillas used to the presence of human beings and behave normally in their presence. The gorilla habituation experience is a four hours activity alongside researchers who help you learn more about the gorillas since they spend more time learning the behavior of each gorilla. Since the time spent with the gorillas on habituation is more than that of trekking, the prices are also higher, in Uganda it goes for USD 1500 compared to USD 600 for a trek. Gorilla habituation is a thoroughly slow process in which guides approach the gorillas and try to behave like them each day for a full year. After a year, tourists are allowed to go for habituation such that the gorillas get used to white skin and cameras. After about a year and a half of gorilla habituation with tourists they are opened for gorilla trekking. This time could seem like a long time for a specie to get used to humans but this is incomparable to chimpanzees that can take even 10 years to get fully habituated. Gorilla families set for gorilla trekking have been receiving visitors for years on a daily and therefore they won’t be bothered by your presence. For gorillas under habituation, they are in most cases half habituated and therefore they behave like how they do in the wild. Its amazing to see how they react to human presence with the silverback gorilla in most cases charging towards people as a way of protecting their family. The experience is different and so much unpredictable. Unlike the normal gorilla trek, where you spend a single hour in the presence of mountain gorillas during a gorilla habituation experience, you spend the whole day in the forest with the gorillas. This gives you more time with the gorillas and you learn more about the gorillas though it can be challenging to interact so much with the gorillas because they are not fully habituated and will always keep a distance. If you are a “loner” or one who loves to do safari activities without “destructive” crowds, then gorilla habituation in the way to go. Eight tourists are allowed to trek a single gorilla family each day whereas four tourists are allowed to go for gorilla habituation alongside ranger guides and researchers. The small numbers offer a more amazing experience. Whether you opt for gorilla trekking or gorilla habituation, there’s no experience just as the same as the other. The same gorilla family in the same habitat could behave differently when met by different groups, just go expecting to see what you find. In the whole world, the only natural habitat is within Uganda’s Bwindi Forest and Mgahinga Gorilla National Park in South western Uganda. Volcanoes National Park in north western Rwanda and Virunga National Park in the eastern Democratic Republic of Congo. All the four gorilla natural habitats are within the same vicinity. Mgahinga Gorilla National Park in Uganda doesn’t offer the gorilla habituation experience since it has only one gorilla family which is also already habituated and open for Uganda gorilla trekking safari tourists. If you would love to learn more about gorillas that are “almost habituated”, then choose to be part of that amazing process of getting these apes know about the presence of human beings.